The decision to move your loved one to a nursing home will hopefully give everyone involved peace of mind. Nursing homes provide their elderly residents with intensive supervision and help them with daily living activities in order to keep them comfortable, safe and as content as possible. Unfortunately, negligence can happen in nursing homes, intentionally and inadvertently. There are several types of negligence that commonly come up in nursing home abuse cases, which we’ve outlined below. If you believe your loved one has suffered from any of the following acts of negligence, an elder abuse lawyer can help them and your family receive justice. Sadly, physical abuse does happen to the vulnerable residents of nursing home facilities. Physical abuse is defined as the use of physical force or violence that causes the victim pain, injury, bodily harm or any other form of impairment. This can even include assault or battery. If you notice wounds, cuts, bite marks, burns, bruises, scratches or any other unexplainable sores or discolorations on your loved one’s body, physical abuse might be taking place. Other symptoms include sudden weight loss and changes in behavior. Another, oftentimes less obvious, form of negligence is emotional abuse or elder psychological abuse. While it may be more difficult to notice the signs of emotional abuse, the resident psychologist can ask your loved one certain questions to find out if it is happening. Emotional abuse can be verbal and non-verbal. These cases of emotional elder abuse may include being humiliated, terrorized, intimidated or ridiculed by a member of the staff. A patient or resident may also experience this type of abuse if a staff member ignores their needs entirely or isolates them from other residents or social activities. When you visit, make sure you pay close attention to your loved one’s overall mood. If they don’t make eye contact, display signs of a low self-esteem or have sudden changes in their sleeping patterns or mood, you should bring up your concerns with the facility’s director and psychologist. A refusal to speak openly or eat can also be signs of emotional abuse, so pay close attention to your loved one’s behavior. Nursing home neglect refers to the failure to meet the general duty of due care. 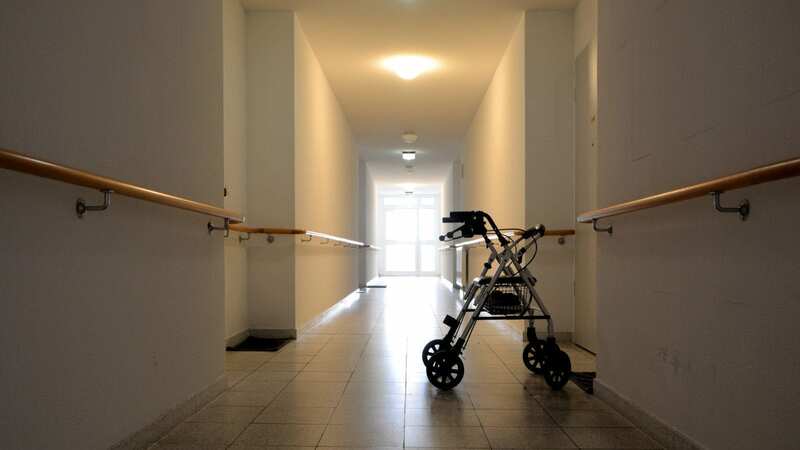 In other words, neglect can happen if the nursing home staff fails to provide all of the care necessary to keep a resident safe and comfortable. If your loved one is constantly left alone, ignored, berated or doesn’t have their basic hygiene needs met, it’s likely that neglect is taking place. Nursing home residents must be properly bathed, given adequate food and water and provided necessary medications and treatment while they are living in an elder care facility. Failure to prevent injury and meet these basic needs can lead to a lawsuit. If you suspect that your loved one is being neglected or abused, the nursing home and its care staff should be held accountable. There is a required standard of care in all nursing homes. If these basic standards are not fully met, legal action may be necessary. The compassionate attorneys at Stewart Bell, PLLC specialize in nursing home abuse cases. Contact us today to learn how we can help your loved one receive the justice they deserve.